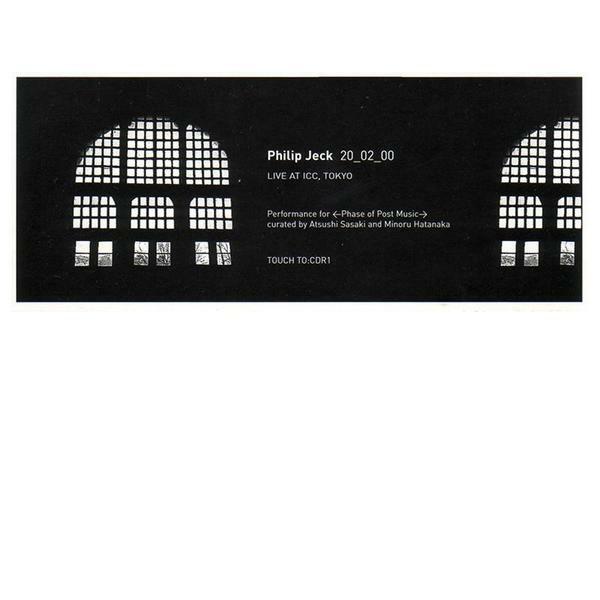 Philip Jeck revolutionised the world of experimental music with his pioneering turntable collage work, but what always has me coming back again and again to his albums is his simple ability to make the music so listenable. It might get noisy, it might get thick with drone and vinyl hiss but it never loses a lightness and gorgeous quality it's impossible to put your finger on. This live set was captured live in Tokyo in 2000 and was released on cdr, so it's great to see this finally making its way to the digital world for those of us who never managed to catch it first time around. Anyone who's seen Jeck perform live knows that he is one of the scene's most enthralling performers and seeing the man live is a different experience form hearing him on record - 'Live at ICC, Tokyo' hints at this with its thirty three minute exploration into the subconscious through loops or strings, clattering, footsteps and anything else you can think of. Across the duration we hear the music building slowly, at first just a rattle and then piano, then a hint of something else, and something else before you're emersed in a glorious dense harmony. Recorded in such a large space the reverb of the building becomes important too, reflecting just what it might have been like to witness this beautiful spectacle. An incredible document of one of Britain's most important experimental musicians.